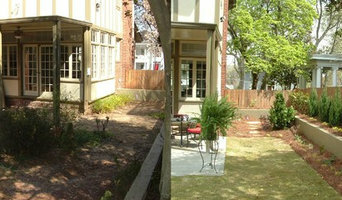 Justin Bailey started this local Loganville based landscape company in 2001 with just a truck and a dream. Formally known as Bailey Landscape and Design, this family oriented company has grown leaps and bounds to form the company you see today. Our main office is now located in Loganville, Ga. We worked for the Home Depot Landscape division before it was removed, and have worked on various homes such as Gubernatorial candidates and stars like Ernie Johnson on TNT Sports. We also installed the Tupac Shukar Memorial off Memorial Drive, as along with shopping centers and communities. We bring to the table over 20 years of experience, giving you the best proven arborist, landscaping, masonry, and sinkhole repair services possible in Loganville and the entire state of Georgia! For over 16 years, Your Floor (formerly Euro Wood Floors) has been committed to the flooring business. We are a family owned and operated flooring company that was started in 1996 as a floor refinishing company under Euro Wood Floors. Since then we have developed into a full service flooring company known as Your Floor. We attribute all of our success to two key components of our business: quality craftsmanship and superior customer service. We ask that you do not settle for anything less than Your Floor. We enjoy a high number of repeat customers and we'd love to have you on board. Thank you for taking the time and reviewing our company's profile. We are looking forward to serving you with all of your flooring needs. If you are interested in setting up a free in-home consultation, you can do that by calling our office (678) 992-4301 or right from you computer at: yourfloor.net/schedule-appointment.html. 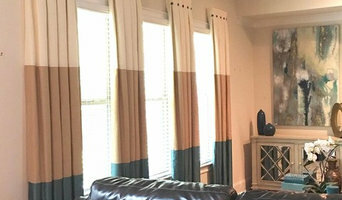 Atlanta's Premier Custom Window Coverings Designer If you’re looking for high quality and personal service, you’ve come to the right place. At Elaine Thomas Interiors we’ll give you the attention and personal service you’ll come to expect and enjoy. We offer the best in soft goods for your home or office. Let us put our experience to work for you. 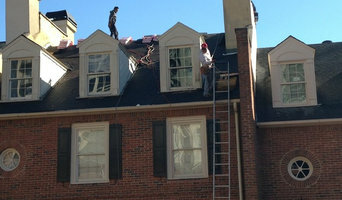 Home Right Solutions, LLC is a family owned and operated roofing contractor that was built on the 3-fold foundation of integrity, quality and professionalism. Customer satisfaction and peace of mind have always been our top priority as we provide exceptional service to homeowners in the Atlanta Metro area. Our commitment to our clients is simple: We want to provide customers with the best quality of service, products and installation work at fair and competitive prices. We pride ourselves on our 14 years of industry expertise and superior craftsmanship. We perform our work in a timely manner without compromising quality – and we never forget to pay great detail to clean up of the job site after our work is complete. We have a client base of hundreds and will do everything possible to earn your business through honesty, integrity and respect. Boyce Design & Contracting, Atlanta’s premier design and build firm, prides itself on strong customer communication, a passion for quality, and a relentless pursuit of excellence. This focus has helped us become the National Association of the Remodeling Industry Atlanta Chapter’s Contractor of the Year for seven consecutive years. Boyce Design & Contracting helps you transform your Atlanta interior and exterior living spaces into a haven for relaxing, entertaining guests, and creating lifelong memories for you and your family members. We focus on incorporating unique and functional features into your interior and exterior living spaces. We help you conceptualize, design, and build your interior and exterior living spaces. Our experienced design team accommodates every style. We’re large enough to handle projects of all sizes and wise enough to give you the personal service you need to make the project you’re envisioning a reality. Turan Designs is an award winning kitchen and bath design-build showroom. With 20+ years experience in the construction and design industry we are able to bring your project from inception to completion with our industry tried and true resources and design expertise. Our business model has been lauded by pillars in our industry and customers alike. We believe, here at Turan Designs, that there is a perfect coming together of exceptional design within the perfect budget. Ronald Jones is a graduate of Kennesaw State University with a Bachelors of Science in Construction Management, double minor in architectural and business administration. Designing and Construction has always been his passion. He has over 10 years of design experience. Ron is proficient in softwares such as CAD and Revit which helps him to better translate his ideas to his clients and their interior design needs. He is an active member in our National Association of Home Builder’s Student Chapter and competition team at KSU. Ron's eye for design and skills with Building Information Modeling software were critical to his team, finishing top ten in the national competition located in Las Vegas. This opportunity has only brought him to bigger and better projects. 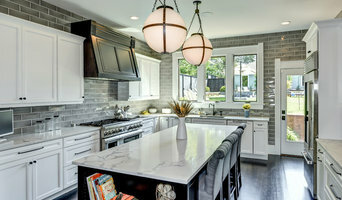 Norwood Architects is a full service, client focused Architectural and Interior Design firm based in West Midtown, Atlanta, Georgia. We approach each project as unique and work to fulfill each individual client's goals and desires. We integrate building and site and use the site to inform the building design. We carry this integrated approach throughout the design process culminating in a home that fits our client's personality, budget and lifestyle. We are very cognizant of our client's budget and provide guidance throughout the design process. We are fluent in multiple architectural styles - from historical to modern. We are happy to assist with selection of materials, interior finishes and fixtures. Named one of the "15 Best Designers in Atlanta" by BuildDirect. We are a full service, award winning, high-end interior design and renovation firm; we work to create functional and inviting living spaces, which meet the specific needs of each client. Providing interior design, renovation, and new construction services. We're based in Atlanta and we work anywhere our services are needed by nice people with open minds. We combine a large dose of personality and decades of experience with our own take on style, interior design and architecture, custom furniture and millwork design and art curation to create unique and beautiful living spaces that make people smile. For MDG, no project is too large and no project too far. Please check out our website for more details of how we work. But before you start sending out dozens of emails and making phone calls, sit down and think about your project. What's your budget? What is the scope of your project? Will you need more than one type of professional to complete your home improvement project in Panthersville, GA? Can you afford to complete the full project now, or should you tackle it bit by bit? Once you've settled on your project’s priorities, budget and scope, it's time to start researching Panthersville, GA home design professionals. Don't sell yourself short and settle on the first professional you set your sights on. Make sure that you're working with someone local, who can get to the jobsite easily and efficiently. Look into the person’s reviews, ask to speak with former clients and to see previous jobs in person. Take a good look at their portfolio photos: How similar are these projects to your own? Be honest — that mansion might look beautiful, but it might not have a lot in common with your little bungalow. Reach out to multiple professionals — especially for larger projects — and don't settle for the first bid you hear. Comparing multiple Panthersville, GA professionals' bids and experiences can help you find the one that’s best for you. Ask a lot of questions now, so you won't have unexpected answers later. Find a home design professional on Houzz. Narrow down your search by type of professional and location. Browse Panthersville, GA portfolio photos, read client reviews and contact each Panthersville, GA professional for more information. Check out the information in the specialized professional sections too for tips on how to hire the right professional for your project.